Welcome to the website of Mario Badescu located at www.mariobadescu.com, including all of its subdomains and subparts (collectively, “our website”). PLEASE CAREFULLY READ THESE TERMS AND CONDITIONS OF USE (collectively with any amendments, "TERMS AND CONDITIONS") BEFORE PLACING AN ORDER OR USING THIS WEBSITE. THIS WEBSITE IS OWNED AND OPERATED BY MARIO BADESCU ("MARIO BADESCU", "US", "WE" or "OUR"). THESE TERMS AND CONDITIONS MAY AFFECT YOUR LEGAL RIGHTS, INCLUDING YOUR RIGHT TO BRING A LAWSUIT OR CLASS ACTION. BY USING THIS WEB SITE AND/OR PLACING AN ORDER FOR MARIO BADESCU’S PRODUCTS OR SERVICES, YOU AGREE TO BE BOUND AND ABIDE BY THESE TERMS AND CONDITIONS AND ANY AMENDMENTS HERETO, AND AGREE THAT YOU ARE AT LEAST THIRTEEN (13) YEARS OF AGE AND ELIGIBLE TO USE THIS SITE AND PLACE AN ORDER FOR MARIO BADESCU’S PRODUCTS AND SERVICES. IF YOU ARE BETWEEN THIRTEEN (13) AND SEVENTEEN (17) YEARS OF AGE, YOU MUST USE THIS SITE AND/OR PURCHASE AND USE MARIO BADESCU’S PRODUCTS OR SERVICES ONLY WITH THE PERMISSION AND INVOLVEMENT OF YOUR PARENT OR GUARDIAN. IF YOU DO NOT AGREE TO THESE TERMS AND CONDITIONS, PLEASE DO NOT USE OUR WEBSITE OR ORDER OR USE MARIO BADESCU PRODUCTS OR SERVICES. To the extent of any express inconsistency with any other agreement you may have with Mario Badescu for products, services, or otherwise, that other agreement will prevail unless otherwise explicitly stated therein. If these Terms and Conditions refer or relate to a clause that is not part of that other agreement, then these terms will apply therein as well, if you are a user of our website. You must only use our website for lawful purposes, and you must not use it in a way that infringes the rights of anyone else or that restricts or inhibits anyone else's enjoyment of our website. You may not, without our prior written consent: (a) copy, reproduce, use, or otherwise deal with any content on our website; (b) modify, distribute, or re-post any content on our website for any purpose; or (c) use the content of our website for any commercial exploitation whatsoever. In using our website, you further agree not to (a) disrupt or interfere with the security of, or otherwise abuse, our website or any services, system resources, accounts, servers, or networks connected to or accessible through our website, or affiliated or linked sites; (b) disrupt or interfere with any other user's enjoyment of our website, or affiliated or linked Web sites; (c) upload, post, or otherwise transmit through or on our website any viruses or other harmful, disruptive, or destructive files; (d) use, frame, or utilize framing techniques to enclose any Mario Badescu trademark, logo, or other proprietary information (including the images found at our website, the content of any text, or the layout/design of any page or form contained on a page) without Mario Badescu’s express written consent; (e) use meta tags or any other "hidden text" utilizing a Mario Badescu name, trademark, or product name without Mario Badescu's express written consent; (f) deep link to our website without Mario Badescu’s express written consent; (g) create or use a false identity on our website, share your account information, or allow any person besides yourself to use your account to access our website; (h) collect or store personal data about others; (i) attempt to obtain unauthorized access to our website or portions of it that are restricted from general access; and (j) post any material that is knowingly false and/or defamatory, inaccurate, abusive, vulgar, hateful, harassing, obscene, profane, sexually oriented, threatening, invasive of a person's privacy, or otherwise violative of any law. You also agree not to post any copyrighted material unless the copyright is owned by you or by Mario Badescu. In the event you upload any photographs, comments, video clips, or other media to our website (the "Uploaded Content"), Mario Badescu has the exclusive right to use any and all such elements of the Uploaded Content in connection with and/or as part of our business, including in connection with and/or in any advertising in any and all media, including, without limitation, product packaging, printed publications, presentations, promotional materials, events, and associated marketing materials, television and cinema commercials, videos, or our website, in perpetuity throughout the world as Mario Badescu in its sole discretion sees fit without further consent or payment. Mario Badescu has all right, title, and interest in any and all results and proceeds from such use of the Uploaded Content. Mario Badescu has the right to transfer the aforementioned rights to use the Uploaded Content to any third party, including, but not limited to, any of its subsidiaries or affiliated companies. Mario Badescu may alter, adapt, or edit the Uploaded Content and any further material created under these Terms and Conditions, and market and exploit it entirely at Mario Badescu’s sole discretion. Mario Badescu is not obliged to make any use of the Uploaded Content or exercise any of the rights granted by these Terms and Conditions. Mario Badescu may, in its sole discretion, terminate, change, modify, suspend, make improvements to, or discontinue any aspect of our website or any products available through or outside of our website, temporarily or permanently, including the availability of any features of our website or access to any parts of our website, at any time without notice to you, and you agree that Mario Badescu will not be liable therefor. All of our website’s materials, including, without limitation, all Mario Badescu product logos, design, text, graphics, software, other files, and the selection and arrangement thereof (the "Content") are Copyright © MARIO BADESCU ALL RIGHTS RESERVED. 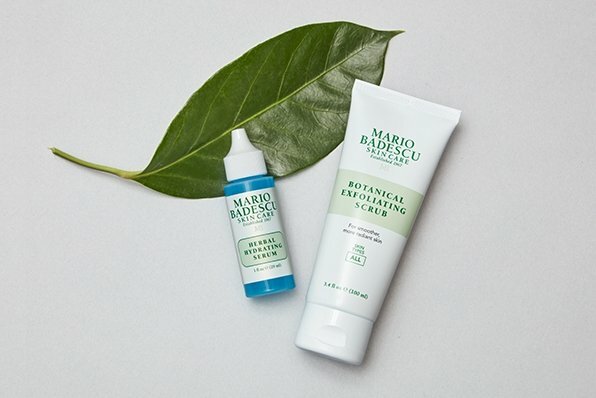 Unless expressly stated otherwise, Mario Badescu retains other proprietary rights in all products available through our website. Except as stated herein, none of the Content may be copied, modified, reproduced, distributed, republished, downloaded, performed, displayed, posted, transmitted, sold, or made into derivative works in any form or by any means, including, but not limited to, electronic, mechanical, photocopying, recording, or otherwise, without the prior written permission of Mario Badescu or the respective copyright owner. You may not, without the express written permission of Mario Badescu or the respective copyright owner (a) copy, publish, or post any materials on any computer network or broadcast or publications media; (b) modify the materials; or (c) remove or alter any copyright or other proprietary notices contained in the materials. You also may not (a) sell, resell, or make commercial use of our website, its content, services, or products obtained through our website; (b) collect or use any product listings or descriptions; (c) make derivative uses of our website or its Content; or (d) use any data mining, robots, or similar data gathering and extraction methods. You are not conveyed any right or license by implication, estoppel, or otherwise in or under any patent, trademark, copyright, or other proprietary right of Mario Badescu or any third party. 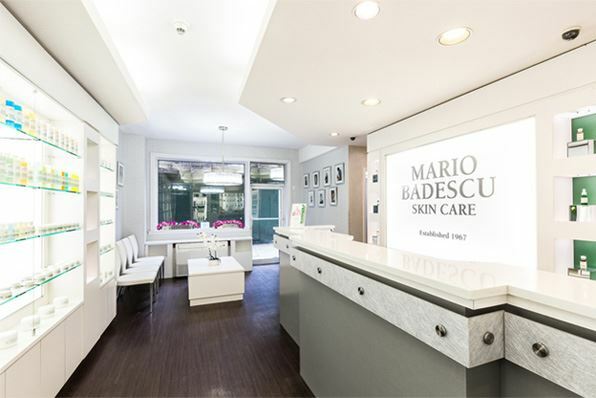 Mario Badescu and Mario Badescu Skin Care are registered trademarks of Mario Badescu in the United States and other countries. Mario Badescu trademarks may not be copied, imitated, or used, in whole or in part, without the prior written permission of Mario Badescu or the rights holder. In addition, all page headers, custom graphics, button icons, and scripts are service marks, trademarks, and/or trade dress of Mario Badescu, and may not be copied, imitated, or used, in whole or in part, without the prior written permission of Mario Badescu other names and brands on the website may be claimed as the property of others. It is Mario Badescu’s policy to respect the copyright and intellectual property rights of others. Mario Badescu may remove content that appears to infringe the copyright or other intellectual property rights, including moral rights, of others. In addition, Mario Badescu may terminate access by users who appear to infringe the copyright or other intellectual property rights of others. Further, Mario Badescu complies with the Digital Millennium Copyright Act. Please direct inquiries regarding intellectual property infringement issues by email to [email protected], or at 1-866-BADESCU (1-866-223-3728) or Consumer Protection, 123 William Street, New York, New York, 10038. You agree to indemnify and hold harmless Mario Badescu, its parents, subsidiaries, shareholders, officers, directors, employees, agents, and suppliers from any claim, action, demand, loss, or damages (including attorneys' fees) made or incurred by any third party arising out of or relating to your use of our website, your violation of these Terms and Conditions, and your violation of any rights of a third party. For questions about the products or services on our website, please use the Contact Us links found on each product page or section. For questions about orders placed through our website or otherwise, please use the Contact Us link in the email receipt you receive or by filling out the Contact Us form found on the website. We are confident you will enjoy your merchandise from Mario Badescu. Our goal is 100% customer satisfaction and if for any reason you are not completely satisfied with your order, PLEASE CALL OUR CUSTOMER SERVICE CENTER at 1-800-BADESCU (1-800-223-3728). You may return any of our products, with your receipt, for a merchandise, exchange, credit, or a full refund of the purchase price (minus shipping and handling charges) within thirty (30) days from purchase date. If you receive a damaged or defective item, we will promptly send you a replacement or issue you a full refund after you have returned the damaged or defective product. You will not be charged any additional shipping or handling fees for replacement of such damaged or defective shipments. Please send your returns by UPS, Fed Ex, or insured Parcel Post for your protection and to insure prompt delivery. Edison, New Jersey 08837 U.S.A.
We have taken reasonable precautions to try to ensure that all product descriptions, prices, and other information shown on our website are correct and fairly described. However, when ordering products or services through our website, please note that Mario Badescu reserves the right not to accept any orders if there is a material error in the description of the product or service, or if the price advertised is incorrect. All prices are displayed in United States Dollars unless expressly indicated otherwise. Packaging may vary from that shown on our website. Any weights, dimensions, and capacities shown on our website are approximate only. All items are subject to availability and we will inform you as soon as reasonably possible if the product(s) you have ordered is not available. Please also note that the terms of any products offered by Mario Badescu and/or purchased by you, such as pricing, specifications, delivery times, and/or package contents are subject to change by Mario Badescu by providing you advanced notice, including by posting notice of the change on our website or sending you an email to the address you provided at purchase. If you use our website or other means to purchase a product, payment must be received by Mario Badescu prior to Mario Badescu’s acceptance of an order, unless otherwise agreed in advance by Mario Badescu. All Mario Badescu products are subject to sales tax which will be applied to your order total. Mario Badescu may need to verify information you provide before Mario Badescu accepts an order, and may cancel or limit an order any time after it has been placed. If payment has already been made and your order is cancelled or limited, Mario Badescu will refund you any payment made for the product that will not be shipped due to cancellation or limitation of an order in the same tender as the original purchase. Mario Badescu expressly conditions its acceptance of your order on your agreement to these Terms and Conditions. In ordering products through our website or otherwise, you agree to provide only true, accurate, current, and complete information. You hereby certify that any email account you provide to Mario Badescu is registered to you. Mario Badescu will have the right to bar your access to and use of our website if it has reasonable grounds to believe you have provided untrue, inaccurate, not current, or incomplete information to Mario Badescu, or for any other reason Mario Badescu, in its sole discretion, deems appropriate. You agree that if you are ordering or purchasing products on behalf of a company, you have sufficient authority to bind that company to these Terms and Conditions. You agree that your placement of an electronic order on our website is sufficient to satisfy any applicable Statute of Frauds, and no further writing is required. Mario Badescu may reject orders where the stated delivery address is outside the United States. If stated, Mario Badescu will add applicable shipping and handling fees. Mario Badescu’s descriptions of, or references to, products not owned by Mario Badescu on and outside of our website do not imply endorsement of that product, or constitute a warranty, by Mario Badescu. Any packages being shipped out of the U.S. may be subject to duties, taxes, and surcharges imposed by your government. Mario Badescu is not liable for any of these charges. 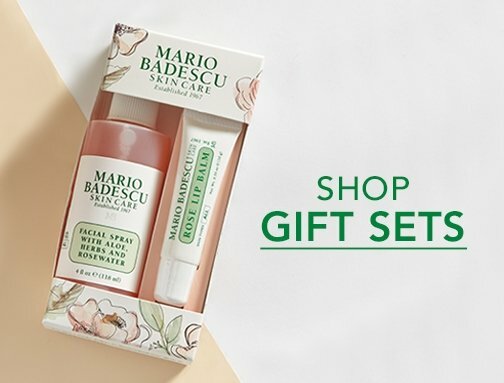 You have the sole responsibility to determine whether your purchase of Mario Badescu products are subject to any duties, taxes, and surcharges and you have full responsibility to pay for these additional charges, if any, and Mario Badescu has no obligation to pay such additional charges. Any imports refused by an international customer will not be refunded by Mario Badescu. The foregoing does not apply to shipments to Canada. Brokerage fees and all applicable taxes are included in the purchase price for all shipments to Canadian consumers. You agree that the purchase of any Mario Badescu products by you, as a non-resident of the United States, will be (a) ex works Mario Badescu’s facilities in the United States per Incoterms 2010, with al title risk and loss in the products passing to you in the United States, and (b) for your own personal use only and not for further resale or distribution in any manner. You hereby expressly authorize and direct Mario Badescu to load and ship the purchased products to you to your designated ship to destination, and to contract on your behalf with a common carrier or courier company for that purpose. You are the principal importer of record and will undertake responsibility for all applicable taxes, shipping, customs clearance, duties, and import requirements from Mario Badescu’s facilities in the United States to your foreign ship to destination. The United Nations Convention on the International Sale of Goods will not apply to any purchase or sale, and Mario Badescu expressly opts out of such application. All orders are processed and shipped on business days only, Monday through Friday, excluding major holidays. Orders placed on Saturday and Sunday will be processed on the following business day. Although Mario Badescu may provide delivery or shipment timeframes or dates, you understand that those are Mario Badescu’s good-faith estimates and may be subject to change. You further understand that product availability may be limited and particular products may not be available for immediate delivery, in which case the products will be delivered when they become available. Mario Badescu will not be liable for any loss, damage, cost, or expense related to any delay in shipment or delivery. Shipping and handling charges will apply and increase with the value of your order as disclosed on the Shipping Information page at our website. Shipping and handling charges are subject to change. Freight charges for orders shipped outside the United States will be based on actual postage rates. ALTHOUGH MARIO BADESCU STRIVES TO PREVENT THE INTRODUCTION OF VIRUSES OR OTHER DESTRUCTIVE MATERIALS TO OUR WEBSITE, MARIO BADESCU DOES NOT WARRANT, GUARANTEE, OR MAKE ANY REPRESENTATIONS THAT OUR WEBSITE IS FREE OF DESTRUCTIVE MATERIALS. IN ADDITION, MARIO BADESCU DOES NOT WARRANT THAT ACCESS TO OUR WEBSITE WILL BE UNINTERRUPTED, TIMELY, SECURE, OR ERROR-FREE, OR THAT DEFECTS, IF ANY, WILL BE CORRECTED. MARIO BADESCU DISCLAIMS ANY WARRANTY OR REPRESENTATION THAT CONFIDENTIALITY OF INFORMATION TRANSMITTED THROUGH OUR WEBSITE WILL BE MAINTAINED. TO THE EXTENT ALLOWED BY LAW, MARIO BADESCU DISCLAIMS ALL WARRANTIES AND CONDITIONS NOT EXPLICITLY STATED HEREIN. SOME JURISDICTIONS DO NOT ALLOW THE LIMITATION OR EXCLUSION OF CERTAIN WARRANTIES OR CONDITIONS, SO SOME OF THE ABOVE EXCLUSIONS MAY NOT APPLY TO YOU. IN NO EVENT, INCLUDING, WITHOUT LIMITATION, NEGLIGENCE, WILL MARIO BADESCU OR ITS AFFILIATES BE LIABLE FOR ANY DAMAGES, CLAIMS, OR LOSSES INCURRED (INCLUDING, WITHOUT LIMITATION, COMPENSATORY, INCIDENTAL, INDIRECT, SPECIAL, CONSEQUENTIAL, OR EXEMPLARY DAMAGES), HOWEVER CAUSED, AND UNDER ANY THEORY OF LIABILITY ARISING IN CONNECTION WITH (A) OUR WEBSITE; (B) THE USE OR INABILITY TO USE OUR WEBSITE; (C) THE USE OF OR RELIANCE ON ANY CONTENT OR INFORMATION DISPLAYED IN OR ON OUR WEBSITE; (D) THE PURCHASE OR USE OF ANY PRODUCTS THROUGH OUR WEBSITE OR OTHERWISE; (E) UNAUTHORIZED ACCESS TO OR ALTERATION OR LOSS OF YOUR TRANSMISSIONS OR DATA OR OTHER INFORMATION THAT IS SENT OR RECEIVED; (F) ERRORS, SYSTEM DOWN TIME, NETWORK OR SYSTEM OUTAGES, FILE CORRUPTION, OR SERVICE INTERRUPTIONS; OR (G) OTHERWISE UNDER THESE TERMS AND CONDITIONS, WHETHER OR NOT REASONABLY FORESEEABLE, EVEN IF MARIO BADESCU OR ITS REPRESENTATIVES ARE ADVISED OF THE POSSIBILITY OF SUCH DAMAGES, CLAIMS, OR LOSSES, AND NOTWITHSTANDING ANY FAILURE OF ESSENTIAL PURPOSE OF ANY LIMITED REMEDY. NOTWITHSTANDING ANYTHING TO THE CONTRARY CONTAINED HEREIN, MARIO BADESCU’S LIABILITY TO YOU FOR ANY CAUSE OF ACTION OR CLAIM WHATSOEVER, AND REGARDLESS OF THE FORM OF THE ACTION, WILL AT ALL TIMES BE LIMITED TO THE AMOUNT PAID, IF ANY, BY YOU IN THE LAST NINETY (90) DAYS TO MARIO BADESCU FOR ANY PRODUCTS SUPPLIED BY MARIO BADESCU THROUGH YOUR USE OF OUR WEBSITE OR OTHERWISE. MARIO BADESCU WILL NOT BE LIABLE IN ANY AMOUNT FOR FAILURE TO PERFORM ANY OBLIGATION UNDER THESE TERMS AND CONDITIONS IF SUCH FAILURE IS CAUSED BY THE OCCURRENCE OF ANY UNFORESEEN CONTINGENCY BEYOND ITS REASONABLE CONTROL, INCLUDING, WITHOUT LIMITATION, INTERNET OUTAGES, COMMUNICATIONS OUTAGES, FIRE, FLOOD, OR WAR. THESE EXCLUSIONS WILL BE GOVERNED BY AND CONSTRUED IN ACCORDANCE WITH THE LAW OF NEW YORK. IF ANY PROVISION OR PART-PROVISION OF THESE TERMS AND CONDITIONS IS DECLARED INVALID, UNLAWFUL, VOID, OR FOR ANY REASON UNENFORCEABLE, IT WILL BE DEEMED SEVERABLE AND WILL NOT AFFECT THE VALIDITY AND ENFORCEABILITY OF THE REMAINING PROVISIONS OF THESE TERMS AND CONDITIONS. Our website is controlled, operated, and administered by Mario Badescu from its offices in New York, United States of America. Mario Badescu makes no representation that materials on our website are appropriate or available for use at other locations outside of the United States, and access to them from territories where the contents or products available through our website are illegal is prohibited. You may not use our website or export the Content or products in violation of United States export laws and regulations. If you access our website from a location outside of the United States, you are responsible for compliance with all local laws. Notwithstanding any of these Terms and Conditions, Mario Badescu reserves the right, without notice and in its sole discretion, for any reason or no reason, to terminate your ability to use our website and to block and prevent future access to and use of our website. You agree that Mario Badescu will not be liable for any termination of your use of or access to our website. Only you and Mario Badescu will be entitled to enforce these Terms and Conditions. No third party will be entitled to enforce any of these Terms and Conditions, except as provided in this section. If Mario Badescu assigns, transfers, or sub-contracts any of our rights or obligations under these Terms and Conditions to any third party, in writing, such third party may enforce those Terms and Conditions that are assigned, transferred, or sub-contracted to them. Small Claims Court. Notwithstanding the foregoing, you may bring an individual action in the small claims court of your state or municipality if the action is within that court's jurisdiction and is pending only in that court. Mario Badescu does not hereby waive any defense and expressly reserves its right to assert any defense available to it in any such action, whether jurisdictional or otherwise. Dispute Notice. In the event of a Dispute, you or Mario Badescu must first send to the other party a notice of the Dispute that includes a written statement that sets forth the name, address, and contact information of the party giving notice, the facts giving rise to the Dispute, and the relief requested (the "Dispute Notice"). The Dispute Notice to Mario Badescu must be addressed to: Mario Badescu, 1150 King Georges Post Road, Edison, New Jersey 08837, Attn: ________ (the " Mario Badescu Notice Address"). The Dispute Notice to you will be sent by certified mail to the most recent address we have on file or otherwise in our records for you. If Mario Badescu and you do not reach an agreement to resolve the Dispute within sixty (60) days after the Dispute Notice is received, you or Mario Badescu may commence an arbitration proceeding pursuant to this section. Following submission and receipt of the Dispute Notice, each of us agrees to act in good faith to seek to resolve the Dispute before commencing arbitration. WAIVER OF CLASS ACTIONS AND CLASS ARBITRATIONS. YOU AND MARIO BADESCU AGREE THAT EACH PARTY MAY BRING DISPUTES AGAINST THE OTHER PARTY ONLY IN AN INDIVIDUAL CAPACITY, AND NOT AS A PLAINTIFF OR CLASS MEMBER IN ANY PURPORTED CLASS OR REPRESENTATIVE PROCEEDING, INCLUDING, WITHOUT LIMITATION, FEDERAL OR STATE CLASS ACTIONS, OR CLASS ARBITRATIONS. ACCORDINGLY, UNDER THE ARBITRATION PROCEDURES OUTLINED IN THIS SECTION, AN ARBITRATOR WILL NOT COMBINE OR CONSOLIDATE MORE THAN ONE PARTY'S CLAIMS WITHOUT THE WRITTEN CONSENT OF ALL AFFECTED PARTIES TO AN ARBITRATION PROCEEDING. Arbitration Procedure. If a party elects to commence arbitration, the arbitration will be governed by the Expedited Arbitration Procedures of Judicial Arbitration and Mediation Services (JAMS) in effect at the time the arbitration is initiated (the "JAMS Procedures"), available at http://www.jamsadr.com or by calling 1-800-352-5267, and under the rules set forth in this section. The parties expressly agree that JAMS may not administer any multiple claimant or class arbitration, as the parties agree that the arbitration will be limited to the resolution of individual claims only. If there is a conflict between the JAMS Procedures and the rules set forth in this section, the rules set forth in this section will govern. You may, in arbitration, seek any and all remedies otherwise available to you pursuant to federal, state, or local laws. All Disputes will be resolved by a single neutral JAMS arbitrator, and both parties will have a reasonable opportunity to participate in the selection of the arbitrator. The arbitrator is bound by the terms of this section. The arbitrator, and not any federal, state, or local court or agency, will have exclusive authority to resolve all disputes arising out of or relating to the interpretation, applicability, enforceability, or formation of these Terms and Conditions, including, but not limited to, any claim that all or any part of these Terms and Conditions is void or voidable. Notwithstanding this broad delegation of authority to the JAMS arbitrator, a court may determine the limited question of whether a claim or cause of action is for (a) trade secret misappropriation; (b) patent infringement; (c) copyright infringement or misuse; or (d) trademark infringement or dilution, each of which is excluded from the definition of "Dispute" as stated above. The arbitrator will be empowered to grant whatever relief would be available in a court under law or in equity. The arbitrator's award will be binding on the parties and may be entered as a judgment in any court of competent jurisdiction. You may choose to engage in arbitration hearings by telephone. Arbitration hearings not conducted by telephone will take place in a location reasonably accessible from your primary residence, or in New York, New York, at your option. Write a Demand for Arbitration. The Demand must include a description of the Dispute and the amount of damages sought to be recovered ("Demand for Arbitration"). You can find a sample demand for arbitration at http://www.jamsadr.com. Hearing Format. In all hearings, the arbitrator will issue a written decision that explains the essential findings and conclusions on which an award, if any, is based. During the arbitration, the amount of any settlement offer made by Mario Badescu or you will not be disclosed to the arbitrator until after the arbitrator determines the amount, if any, to which you or Mario Badescu is entitled. The discovery or exchange of non-privileged information relevant to the Dispute will be governed by the JAMS Optional Expedited Arbitration Procedures. Arbitration Fees. Mario Badescu will pay, or (if applicable) reimburse, you for all JAMS filing, administration, and arbitrator fees for any arbitration commenced (by you or Mario Badescu) pursuant to provisions of this section. Amendments to this section. Notwithstanding any provision in this section to the contrary, you and Mario Badescu agree that if Mario Badescu makes any future amendments to the dispute resolution procedure and class action waiver provisions in this section (other than a change to the parties’ addresses), Mario Badescu will post notice of such amendments on the website and you will have thirty (30) days from your first visit to or use of the website containing such amendments to affirmatively opt-out of any such amendments. If you affirmatively opt-out of any future amendments, you agree you will arbitrate any Dispute between us in accordance with the language of this section as stated in this current section, without any of the proposed amendments governing. If you do not affirmatively opt-out of any future amendments, you will be deemed to have consented to such future amendments. Mario Badescu and you agree that any controversy excluded from the dispute resolution procedure and class action waiver provisions in these Terms and Conditions (other than an individual action filed in small claims court) will be filed only in the New York Supreme Court, Civil Branch, New York, County, or the United States District Court for the Southern District of New York, and each party hereby irrevocably and unconditionally consents and submits to the exclusive jurisdiction of such courts for any such controversy.